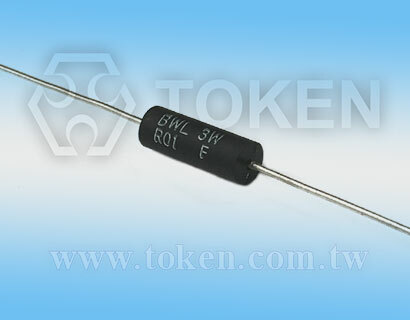 Token's (BWL) Power Low-Resistance Resistor minimise power consumption. In response to demand for more energy efficient products, Token Electronics has expanded its current sensing series offering with the launch of the BWL series, its lowest resistance value resistor, to minimise power consumption. The BWL series has been designed for current sensing in power electronic systems and the resistors are available in 0.5W to 10W power ratings, with a wide ohmic range starting from as low as 0.005Ω. In addition, the BWL series utilizes metal strip technology, essential for those involved in constructing devices and circuits for the detection of currents. Token's BWL standard series is lead-free and RoHS compliant and can be a replacement for Vishay, IRC, KOA, Panasonic current sense resistor with more competitive price and short lead time. Contact us with your specific needs. Download PDF Specification Power Low Resistance Resistor. Low temperature coefficient. Excellent load life stability. Low inductance. 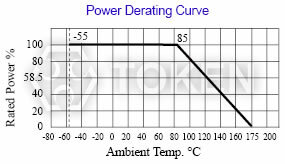 Cooler operation for high power to size ratio. Proprietary processing technique produces extremely low resistance values. BWL metal strip technology utilizes manganin. Encapsulation: High temperature mold compound. Element: Self-supporting nickel-chrome alloy. Terminals: Tinned copper. Instruments, Switching and linear power supplies, Power amplifiers, Notebook power management.